People, organizations, teams that are the best at what they do have a similar characteristic in common – a drive that pushes them towards constant improvement. Whether it’s innovation, constant training or an obsession with exceeding prior records or benchmarks, the best can’t be stagnant. 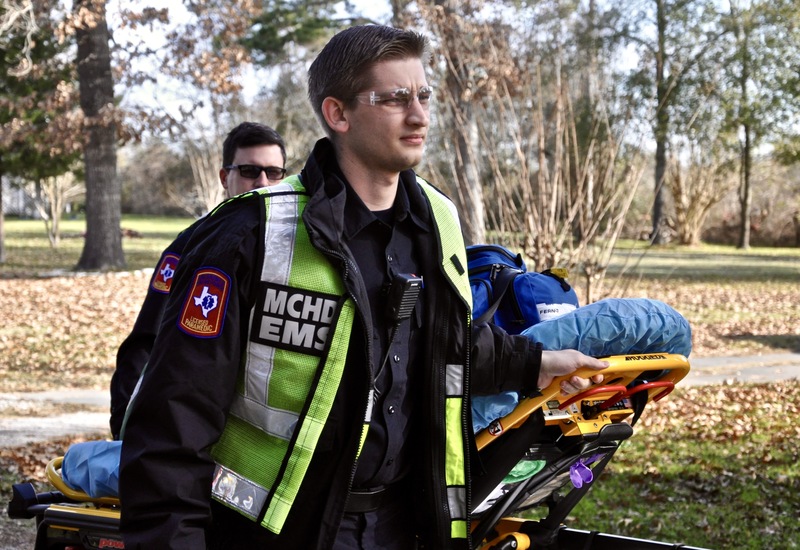 The Department of Clinical Services began measuring EMS performance at a system level using core measures in 2015. This process helps MCHD identify areas that need improvement and develop plans to remedy or advance issues that could be considered weak points in the department. Core Measures, which are based off National Highway Traffic Safety Administration, American Heart Association and National Association of EMS Physicians recommendations are reviewed and documented on a monthly basis to identify outliers and address those issues. They are also reviewed over a rolling 24 month period to identify trend (positive or negative). Then using those trends we develop action plans or education content for improvement. Montgomery County Hospital District is Ranked No. 1 Nationally for customer service for the third-consecutive year, according to a report analyzed by an independent company, EMS Survey Team. Nearly 75000 patients were surveyed for the study, including over 2500 MCHD patients. MCHD was ranked based off of 20 performance metrics, and MCHD’s overall score of 94.86 ranked No. 1 among all similar (large) sized EMS service providers. That is service providers that had over 1500 patient contacts per month. That No. 1 ranking could be attributed to MCHD focusing on what it considers weak links and addressing them accordingly. One of the highlights of MCHD’s improvement due to core measures was pain management among patients. The Department of Clinical Services will continue to track measures and look for avenues to improve its service and remain the No. 1 ranked Large EMS service provider nationally based on customer service.